Our under-the-chin headphones connects to the Portable Infrared Receiver using a standard 3.5mm audio jack. 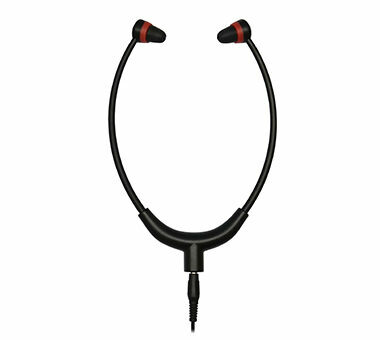 It uses earpieces which fit comfortably into the ear. Additional rubber ear-buds are available if required.